Russia. Moscow. 7 October 2015. 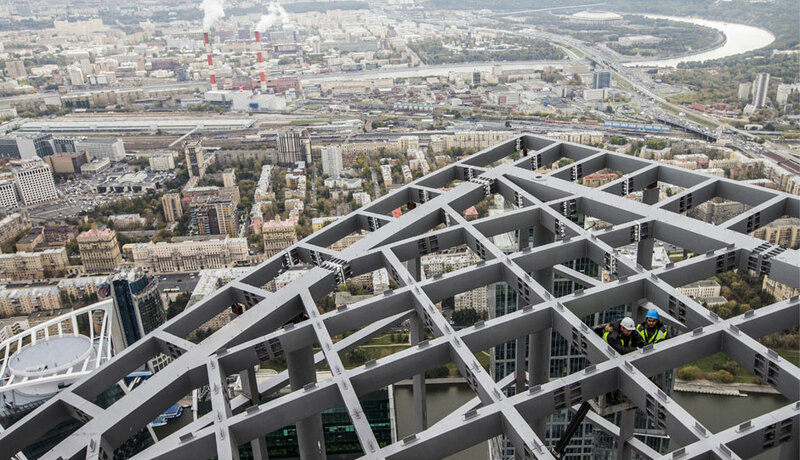 Installation work roof multipurpose business complex "Federation Tower" in the Moscow International Business Center "Moscow City". Moscou, Russie, le 7 octobre 2015 : La construction du complex multifonctionnel la Tour Fédération dans le centre d'affaires Moscow City.